Dr. Biraj Patel graduated the medical school from the Virginia Commonwealth University School of Medicine and did his internship at the University of Wisconsin. He completed two residency programs at different institutions and also one fellowship at the McGaw Medical Center of Northwestern University. Dr. Patel is specialized in radiology and board certified in diagnostic radiology. 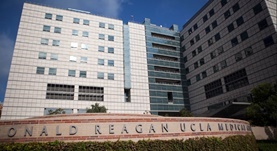 He has been in practice for more than 6 years and is affiliated with the Ronald Reagan UCLA Medical Center. During his career, he has also contributed to 8 publications of medical interest. Dr. Biraj Patel has contributed to 3 publications. Endovascular Treatment of Supraclinoid Internal Carotid Artery Aneurysms. Patel BM Ahmed A Niemann D; Neurosurg Clin N Am. 2014 Jul . O-014 significant acquisition dose reduction maintains diagnostic quality of biplane cerebral digital subtraction angiography. Honarmand A Shaibani A Hurley M Patel B Daruwalla V Ansari S; J Neurointerv Surg. 2014 Jul . E-043 High-Grade Dural Arteriovenous Fistula Causing Subarachnoid Haemorrhage with Direct Visualization of the Rupture Site on CT Angiography. Daruwalla V Patel B Honarmand A Sherazi S Ansari S Shaibani A Bendock B Hurley M; J Neurointerv Surg. 2014 Jul .